Subject Headings Manual (SHM) provides guidelines to use Library of Congress Subject Headings (LCSH). The manual was originally conceived as an in-house procedure manual to aid subject catalogers at the Library of Congress in constructing and assigning Library of Congress Subject Headings (LCSH) in an accurate and consistent manner. SHM includes explanations of subject cataloging policy, procedures, and practices for the catalogers at Library of Congress in providing LCSH subject headings to bibliographic records and constructing new headings to be included in LCSH. Other libraries who wish to catalog in the same manner as the Library of Congress, as well as faculty at schools of library and information science who wish to teach Library of Congress Subject Headings (LCSH) to their students, should follow the guidelines of the Subject Headings Manual (SHM). The process of cataloging involves two major activities, viz. Descriptive Cataloging and Subject Cataloging. For descriptive cataloging, a popular standard was there in the form of Anglo-American Cataloging Rules (AACR), but for subject cataloging, there was no formal code of rules comparable to Anglo-American Cataloging Rules (AACR). In 1984, in response to the expressed need of the library community for a guide to subject cataloging, the Library of Congress began publishing its internal instructions for subject cataloging in Subject Cataloging Manual: Subject Headings. A "preliminary edition" of the Subject Cataloging Manual: Subject Headings was published in 1984, a "revised edition" in 1985, the third edition in 1988, the fourth in 1991, and the fifth in 1996. The fourth and fifth editions were updated semiannually during the years 1991-2008. For this 2008 edition, the title has been changed to Subject Headings Manual (SHM). The text is essentially a recompilation of the text of the fifth edition with minor revisions and updates that have been made since the publication of the final update to the fifth edition, which was published in spring 2008. LCSH, presently in the 37th edition (2015) should be used with several auxiliary aids. Most important of these is the Subject Headings Manual (SHM). The Manual contains the same instructions used by subject catalogers at the Library of Congress in their daily work. Although some of the instructions describe internal Library of Congress procedures, most of them are essential for those who wish to understand and to apply Library of Congress Subject Headings correctly. The rules for constructing and assigning LCSH heading are contained in two sources: the introduction to LCSH and the Subject Headings Manual (SHM), both available online from the Library of Congress website. 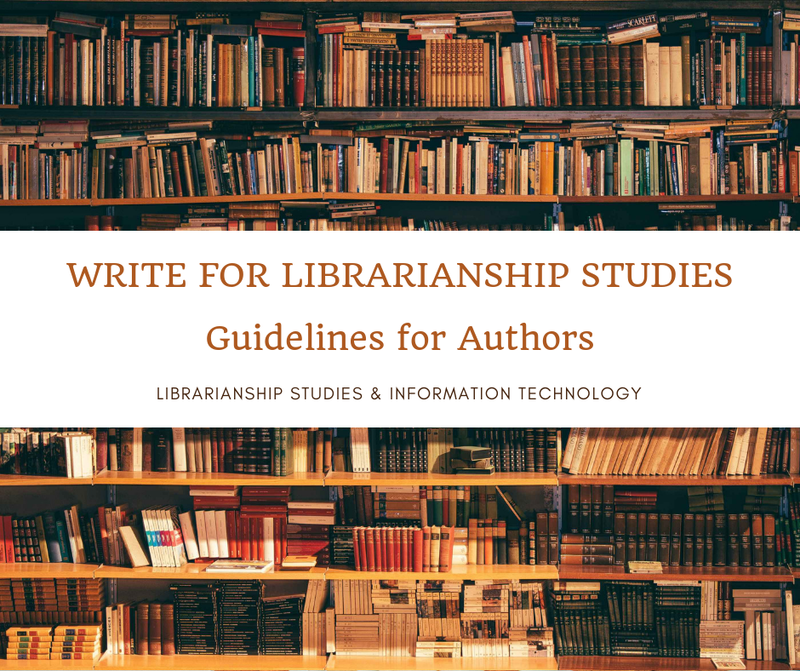 Based on these guidelines LCSH has provision for the construction of pre-coordinated indexing strings including headings, plus rules for combining the single terms in strings and one or more levels of subheading. Based on these rules a subject heading may also be subdivided by the addition of form subdivisions, geographical subdivisions, chronological subdivisions, and topical subdivisions to add greater specificity. In a MARC bibliographic record Subject Heading is given in a 6XX field, consisting of either a single element in an $a subfield or of an $a subfield followed by subdivisions in $v, $x, $y, and/or $z subfields, that designates what a work is or what it is about. Examples are presented in most cases with full MARC 21 content designation. Boldface paragraph titles have been added to the individual sections within each instruction sheet to make it possible to locate specific policies or instructions more quickly and easily. Many instruction sheets have been expanded, reorganized, and rewritten for greater clarity. Instruction sheets have been added that provide summaries of cataloging procedures in the field of music and literature. The general instruction sheet on assigning and constructing subject headings has been revised and expanded, and a new introductory instruction sheet on subdivisions has been added. Many cataloging practices that had been observed at the Library of Congress as part of its "oral tradition" are now documented in writing for the first time. The general lists of free-floating subdivision (H 1095-H 1140) now include references to other instruction sheets that explain the use of individual subdivisions. Form subdivisions are explicitly identified as such in all lists of free-floating subdivisions. Where possible, procedures that apply specifically and only to Library of Congress staff have been identified with the caption "LC practice:," enabling other users to ignore the section that follows if they wish. Where possible, more generic language has been substituted for language that in previous editions was meaningful only to Library of Congress staff. The print-ready PDF files for the Library of Congress Subject Headings Manual (SHM) are available from the Library of Congress website. This data is updated as changes are approved. Because of steadily declining demand and increasing printing costs, SHM is being made available as free downloadable PDF files. For users desiring enhanced functionality, SHM will continue as part of the web-based subscription product, Cataloger's Desktop. Library of Congress Subject Headings (LCSH) is the most widely used Subject Heading List throughout the world. Even though all libraries use LCSH to provide Subject Heading, most of them are not aware of the proper guidelines and practices for applying LCSH headings. I am saying this from my experience of working in some major libraries in India, namely the National Library of India, Central Reference Library, and the Indian School of Business Library and observing the catalogs of various libraries of different countries and also records in WorldCat database OCLC, world's largest library catalog. 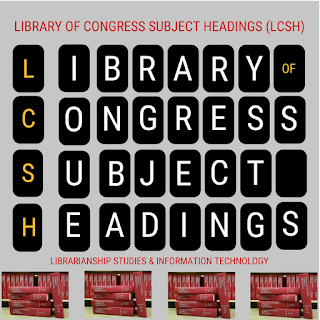 Library of Congress Subject Headings (LCSH) is one of the focus areas of Librarianship Studies & Information Technology Blog. It aims to generate awareness and provide information to librarians and catalogers about Library of Congress Subject Headings (LCSH) based on international standards. 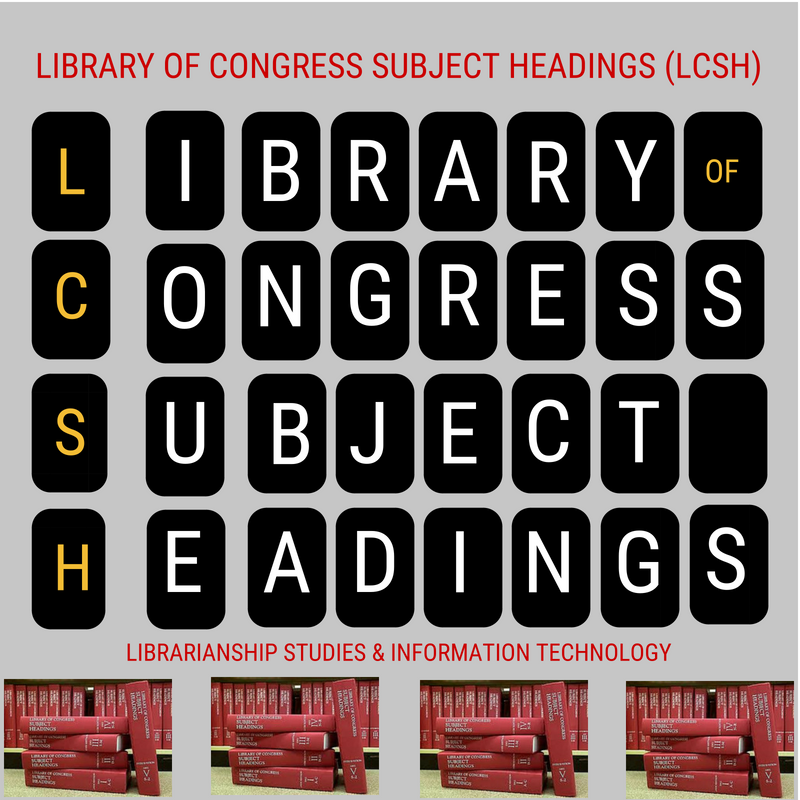 Till recently Library of Congress Subject Headings (LCSH) and Subject Headings Manual (SHM) was available as paid products from LC and was very costly. Now that these are made available for free, it is a great initiative and service by the Library of Congress to the profession of librarianship and libraries should cash this opportunity to provide Subject Headings in their catalogs in the correct way.